Introductions & New Arrivals New to FJCruiserForums? Come on in and tell us about yourself. 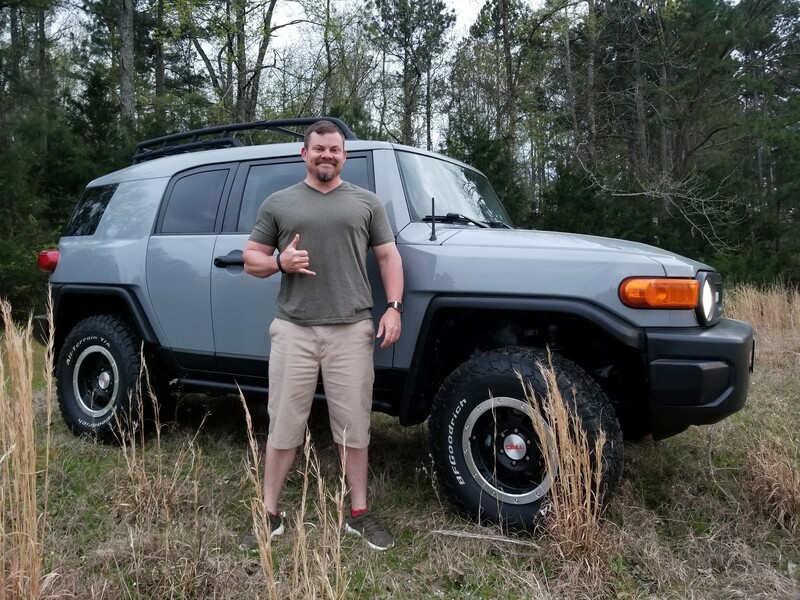 Just get your new FJ? Post about it in here! Recently picked up a 2013 TT and I'm loving it..just wanted to post and say hello to everyone and acknowledge this awesome forum. Plenty of activity and knowledge here. debFJVT, Thorn661 and FJFool like this. Great find. Love the 13 TT. I'm always searching Auto trader for one. Not many for sale. Welcome and have fun with your TT. Sweet. I think that's my favorite color of all. Welcome to the forum! Thanks yall, I've been a jeep guy for a while and had a pretty gnarly longarm TJ and a Commander that was built by AEV for sema in 06 but there's just somthing about the FJ. I haven't had it offroad much but from what I've read and seen they're pretty capable. CRFjockey, debFJVT and Thorn661 like this. Saving one dog may not change the world. But, for that one dog, the world will surely change forever. Good looking FJ Cruiser. Welcome! Greetings from VT! Beautiful FJ...Lots of FJ action in Texas...lucky you!! SHAKA BRAH! from the beaches of OHIO! 2008 FJ Cruiser, Stock for now. Not a wheeler but will be. Howdy and welcome from the swamp bro!